€100 Aer Lingus Flight Voucher. The sky’s the limit! Your next holiday begins right here. Explore over 190 destinations worldwide with Aer Lingus. Manchester or Miami, Boston or Brussels... whether you use your Flight Voucher for a short trip or that dream holiday, you’re already on your way. Click 'Redeem' and the Dulux Trade Points Helpdesk will contact you within 2 working days to specify the name of the passenger, as the name on the flight voucher must match the passenger’s name (as shown on their passport) when used against the purchase of a flight. Your €100 Aer Lingus Flight Voucher will then be on its way to you by email. 1. 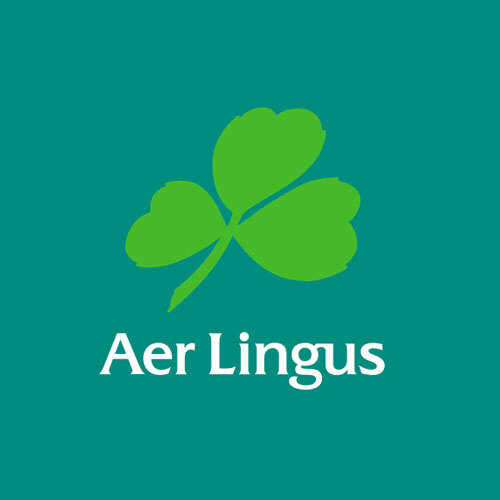 E- Vouchers can only be redeemed at aerlingus.com in respect of flights operated by Aer Lingus and cannot be redeemed for bookings that involve travel on flights operated by partnership airlines. Vouchers purchased online cannot be redeemed through the Aer Lingus reservation offices, at airport ticket counters or at travel agents. 2. Vouchers can only be redeemed on aerlingus.com against the cost of Aer Lingus flights (including fares, taxes, charges and selected fees). 3. Vouchers can only be redeemed against bookings in the currency of issue. 4. Only one voucher may be used per transaction. 5. In order to redeem a voucher the person whose name is on the voucher as specified by the purchaser at the time of purchase must be a member of the party being booked. Vouchers are non-transferable and may not be resold or bartered. 6. Vouchers cannot be redeemed as part of Gold Circle Travel Reward bookings. 7. Bag fees / Advance Seat Selection fees / Lounge Access fees may be paid for with vouchers provided they are pre-booked at the same time as the purchase of the flight(s). Vouchers cannot be used in respect of these fees if they are booked subsequently through the Manage Booking facility. 8. Vouchers may not be used for other products (e.g. car hire, hotels, and travel insurance). 9. Vouchers are not refundable. 10. Vouchers will not be redeemed or exchanged for cash. 12. Aer Lingus reserves the right to cancel bookings or request alternate forms of payment if a fraudulently or improperly obtained voucher is redeemed at aerlingus.com. 13. If the ticket price is greater than the value of the voucher, the difference may be paid with a credit card. 14. Any credit remaining following redemption of the voucher may be used within the original validity period towards future flight purchases. 15. Vouchers cannot be offset against bookings which have already been made. 16. Vouchers cannot be applied towards change fees, or additional fare for reissued or partially used tickets. 17. Vouchers may not be used towards the purchase of food or beverages on board. 18. Vouchers cannot be used to make or confirm a Price Lock or Deposit booking.